Refacing is a term used in cabinetry remodeling when new wood is applied over the existing face frames of the cabinets. Also, new doors and drawer faces are installed in place of the old ones. And in many cases, new hardware, crown molding and other options and modifications are added to meet the needs and wants of the homeowner. 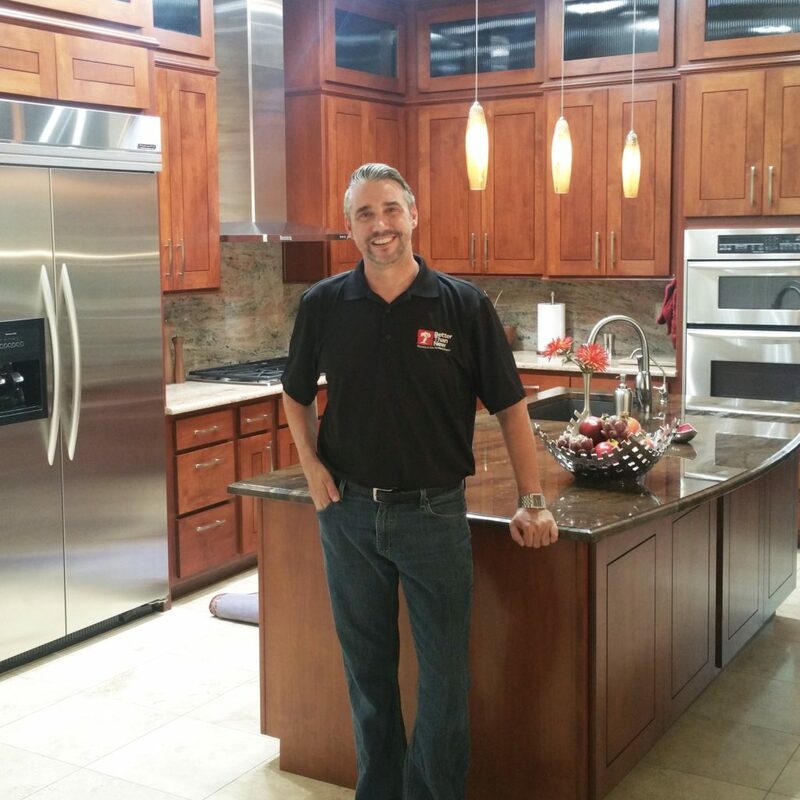 What makes us different and better than other kitchen refacing companies? Better Than New Kitchens stands above the rest for many reasons. 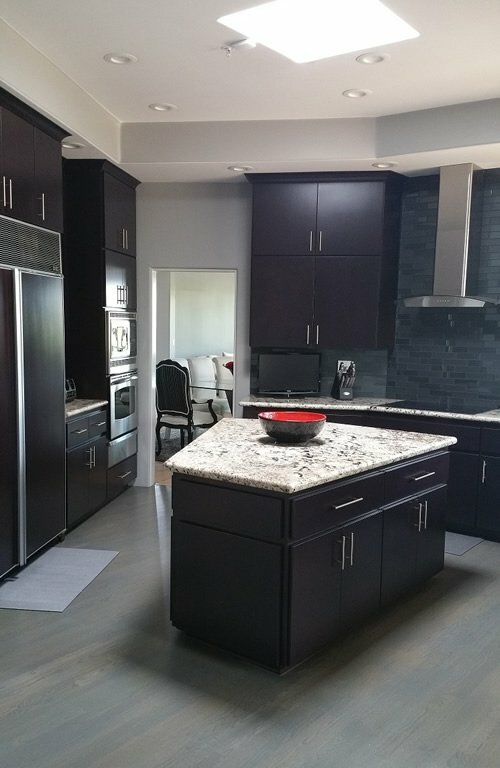 Not only is our team consisting of master craftsmen that specialize in custom woodworking and cabinetry, but we also use top-of-the-line, durable materials that will withstand heavy-use in high-traffic areas such as your kitchen or bathroom. Better Than New Kitchens uses conversion varnish – a clear coating that is applied on all wood products. It has a far superior durability rating over traditional lacquers and other coatings that are typically used by other kitchen refacers. Better Than New’s finish is simply the best – impermeable to water, scratch resistant, and heat resistant. In our refacing process, we use a quarter-inch thick wood facing material that is custom made in America for your special project. Each piece is carefully cut and installed on the fronts and sides of your cabinets. With this approach there is no peeling, bubbling or lifting, which often occurs when using cheaper products such as “peel & stick” veneers. These paper thin veneers cannot withstand heavy use, water contact, heat from appliances or Arizona’s dry climate, and typically start to peel off within a few short years. Another reason why Better Than New Kitchens is better than other companies is because we use top quality doors and drawer faces that are made in the USA. They are completely customizable in style, size and color, and they have a 5 year warranty! We only use the highest quality hinge hardware, and slow-close hinges come standard with all Better Than New refaces. Better Than New Kitchens is refacing at its finest! 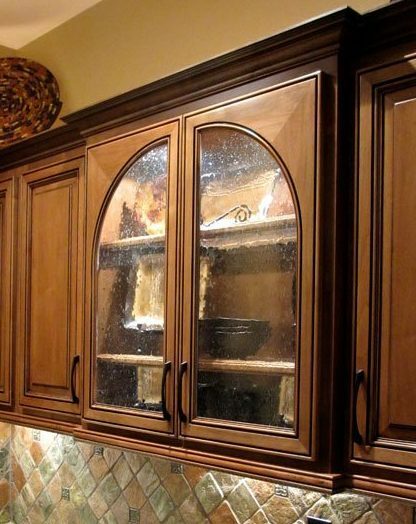 Refacing cabinets is a great affordable alternative to replacing your existing cabinets. You get all the benefits of an updated look at an affordable price. The average cost of a kitchen reface can be less than half the cost of replacing your cabinets. 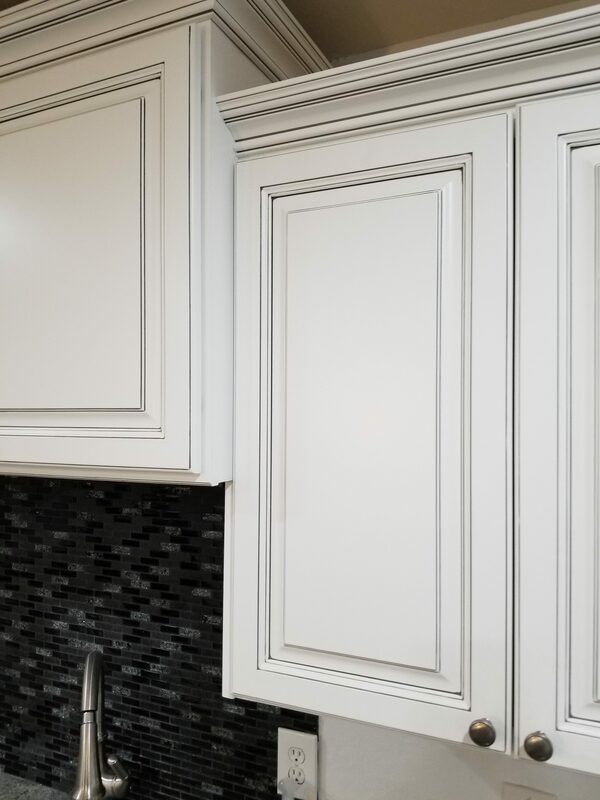 If your existing cabinet framework is in working order, we can easily and cost effectively change out the doors, drawer fronts and incase your existing cabinet boxes with new quarter-inch wood to give your kitchen a custom look. Refacing is a lot quicker and a lot less mess than traditional remodeling. The average kitchen reface creates almost no mess during install and only takes a few days in your home. We do almost all the finishing and fabrication of wood at our shop locally. We then transport all the finished doors and veneer to your home for install. Choosing a reface doesn’t mean your options are limited. 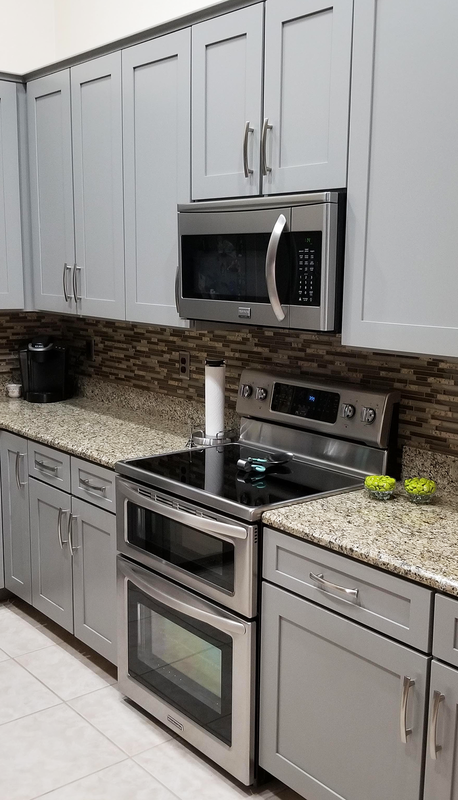 In fact, Better Than New Kitchens offers a broad selection of options and modifications for refacing cabinets, which can upgrade your kitchens functionality and style. To learn more about these features as well as many others, please visit our Options and Modifications page. 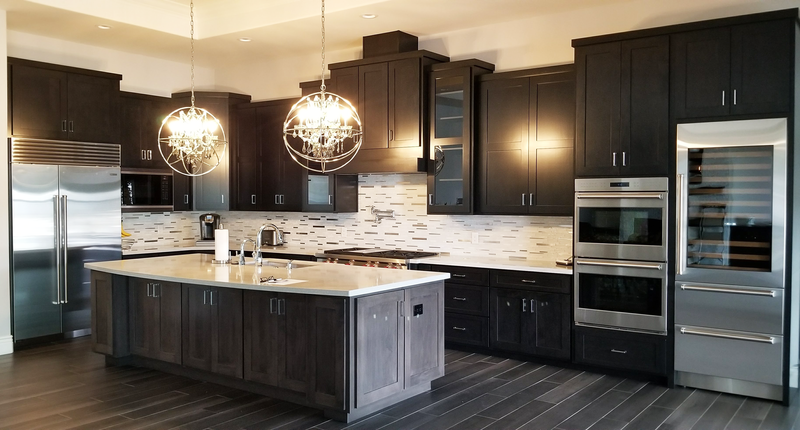 Additionally, many owners wish to enhance their kitchen with custom new build features, such as kitchen islands, display nooks and cabinet expansions. To learn more about the the new build options that Better Than New offers, visit our New Build page. As you have read above, we only use the highest quality products to reface kitchen cabinets. In addition, our install teams consists of master craftsmen that specialize in custom woodworking and cabinetry. We use name brand adhesives and finishes that rate much higher in quality and durability than the industry standards. Better Than New Kitchens is refacing at its finest!